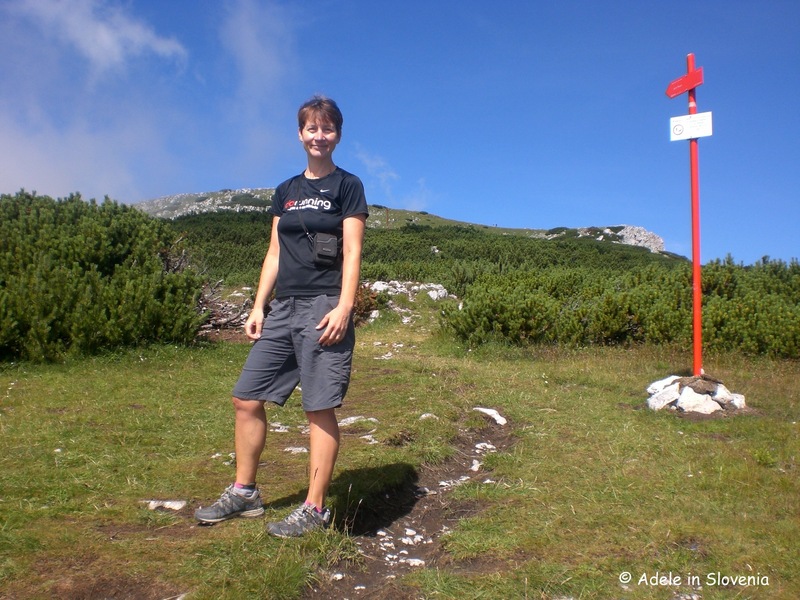 Biking and Hiking in Koroška – Through and On Mount Peca! 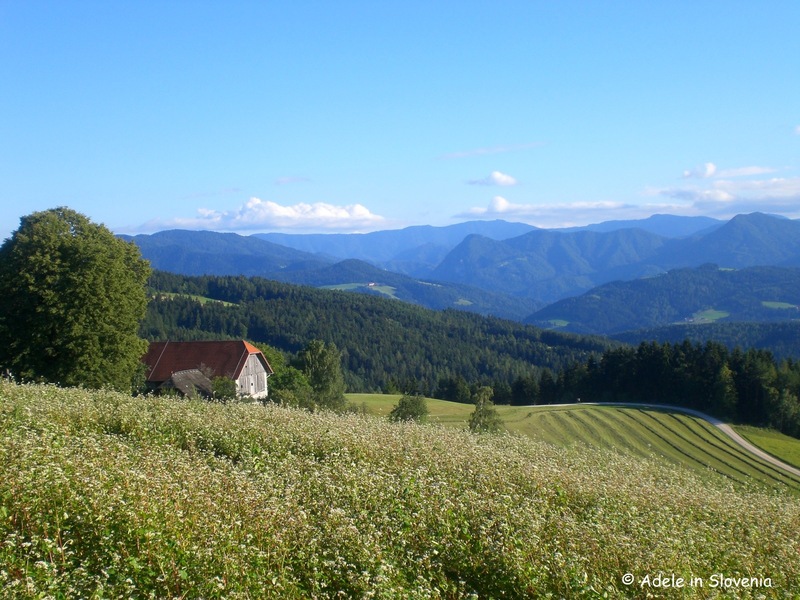 For lovers of the great outdoors, particularly hiking and cycling, Slovenia’s Koroška region offers a wealth of opportunities and exciting, unique experiences and was somewhere I had long had on my list of places to get round to visiting. This is not a place of mass-tourism, and is all the better for it. Instead it’s crammed with unspoilt nature, picturesque alpine valleys, peaceful hamlets, remote and hidden delights, farmsteads and tourist farms with hospitable locals. 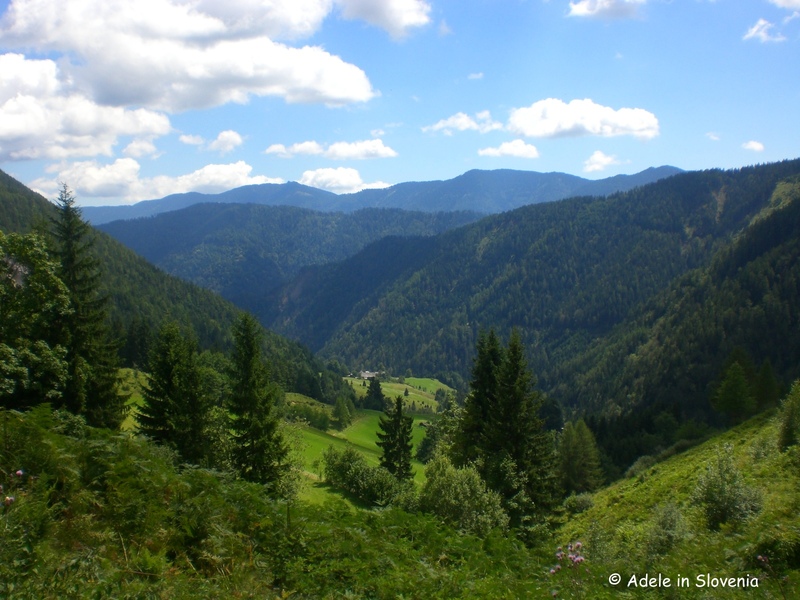 In fact, Koroška is among the most mountainous of Slovenia’s regions – hence it has my name written all over it! 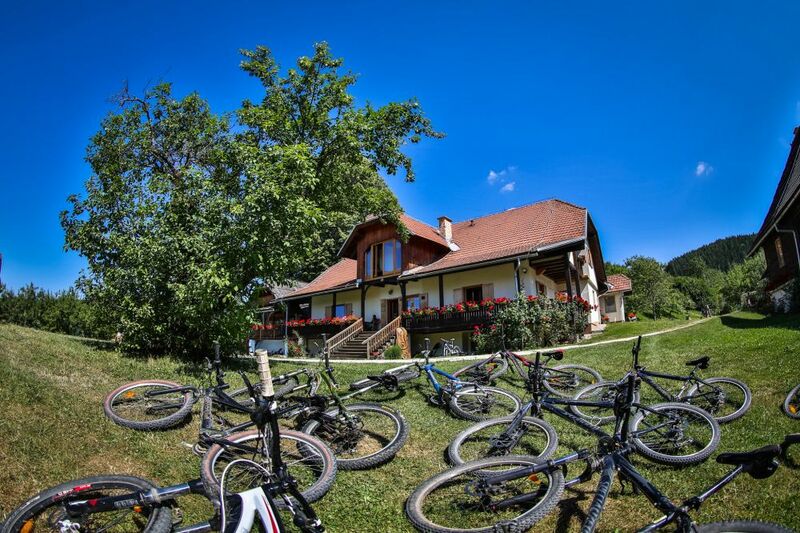 I stayed at the family-run Bike and Eko Hotel Koroš, in Jamnica, near Mežica – the Alpine and mining centre of the Mežiska valley. As you can see below, the views I woke up to of the surrounding countryside and mountains were pretty breathtaking! 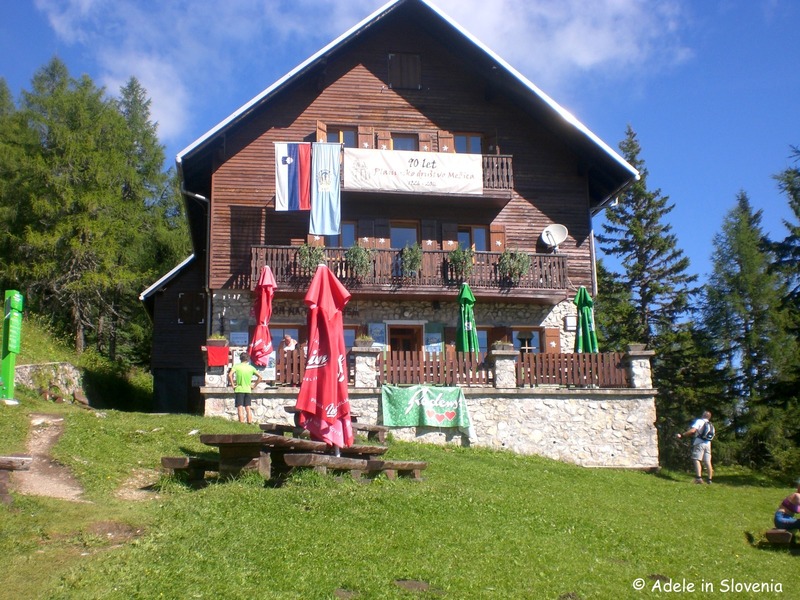 The hotel stands at an altitude of 900m, and is the first dedicated bike hotel in Slovenia. Lead, zinc and iron ore mining was once the region’s key industry and there was, or rather still is, a labyrinth of tunnels under Mount Peca stretching for around 800 kilometres. At the peak of its production, around 2,000 people worked in the mine’s various units, which operated for three centuries, with production finally ceasing in 1994. Nowadays, just a small part of the mine is open for tourists who can choose from 3 ways of experiencing it. 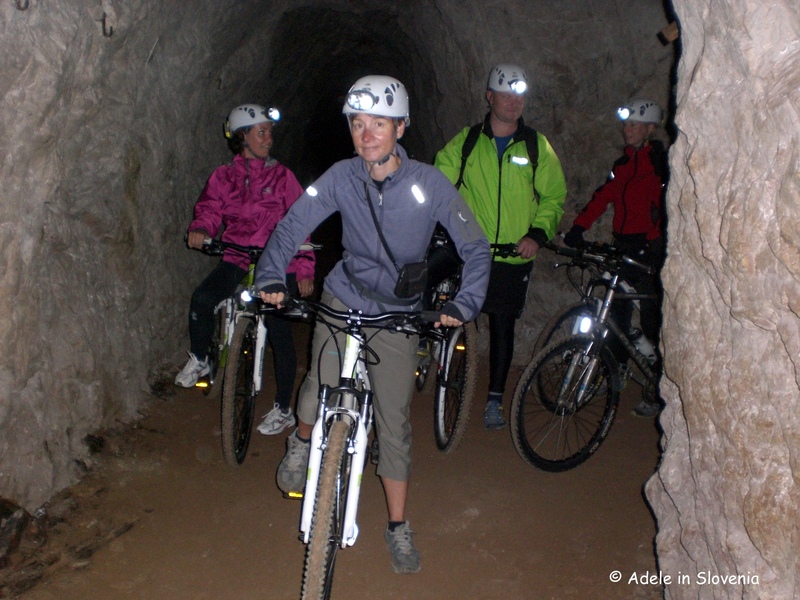 The more sedentary option is to take a tour of the 3.5km Glančnik tunnel on board an original mining train. You also get to don some miners’ gear, to make the experience even more authentic! However, it’s not entirely sedentary, as the experience also includes a 1.5km walk through part of the mine. 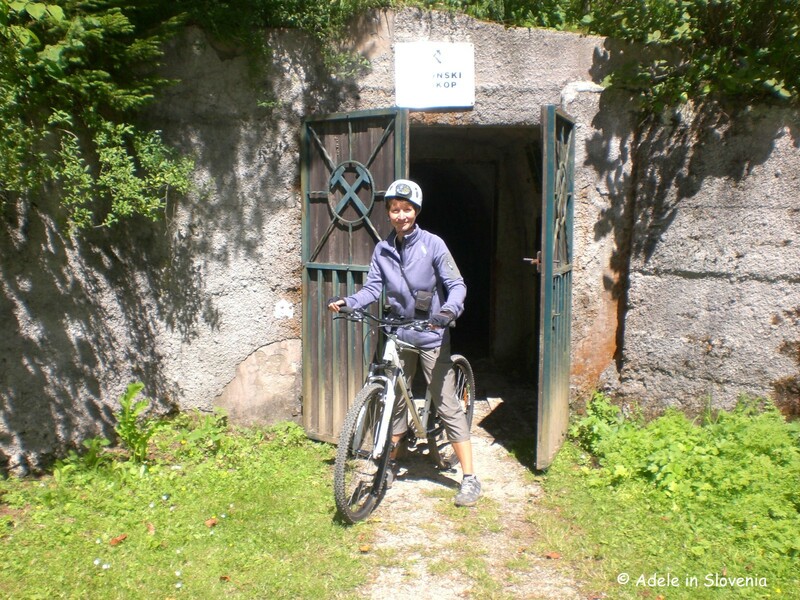 Another option, and for a unique and thrilling experience, is to explore the tunnels on a guided mountain bike trip – which was my choice! 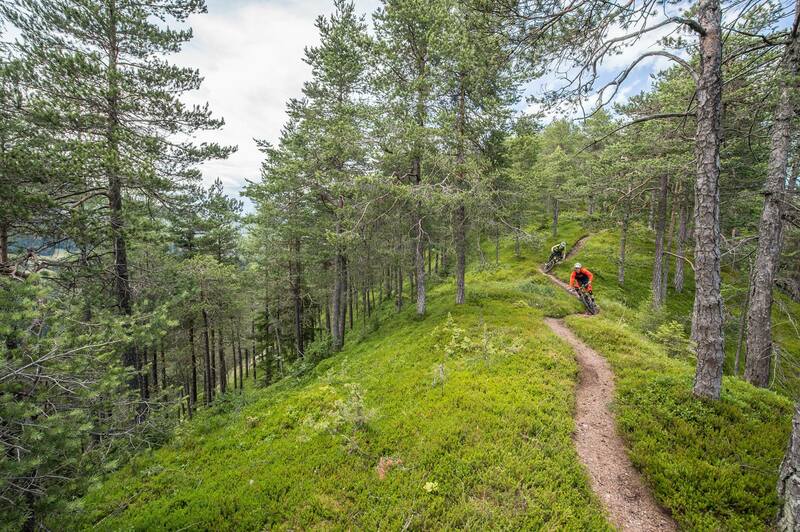 The mountain bike experience lasts around 3 hours and begins with a short van ride to the entrance at Igrčevo, in Črna na Koroškem. Each participant is provided with a helmet and headlamp. Do make sure to have extra layers of clothing as it is a constant 10˚C inside the mines. It was around 30˚C outside on the day of my visit, so warm clothes were not at the forefront of my mind, though, I sure wish I had taken warm gloves! It feels slightly disconcerting at first, but you soon adjust to cycling through the narrow low tunnels. Along the way the guide gives information about the working conditions in the mine and you can see some remains of equipment used and names scribbled on the mine’s walls. The total ride itself is only around 6km, with a negligible incline. All the experiences begin at the cross-border Karavanke Geopark in Mežica, which in itself is worth a visit, and in 2013 it became a member of the European and global network of geoparks under the auspices of UNESCO. 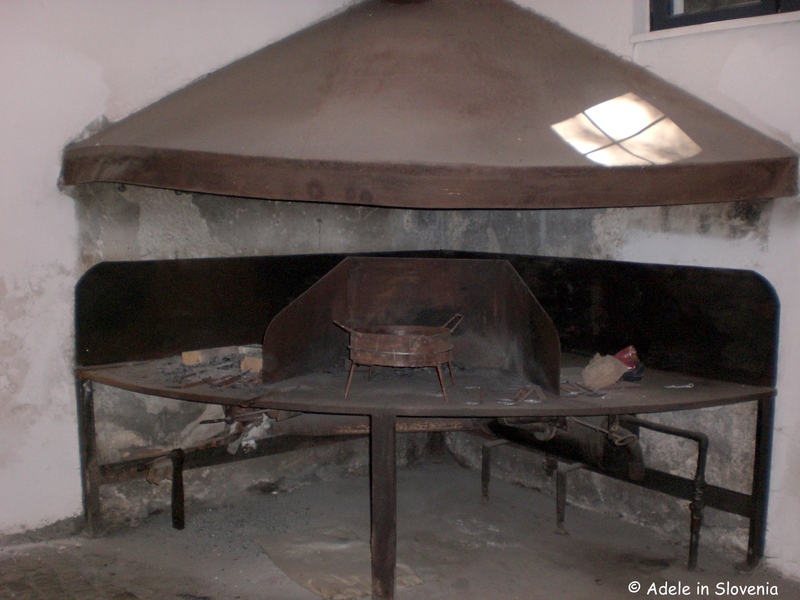 The centre offers a glimpse into the more than 400 million-year-old history of the area of today’s eastern Karavanke and comprises an exhibition area with exhibits including a fully-preserved smithy, an information area with a café and gift shop, and it also hosts workshops and other events. 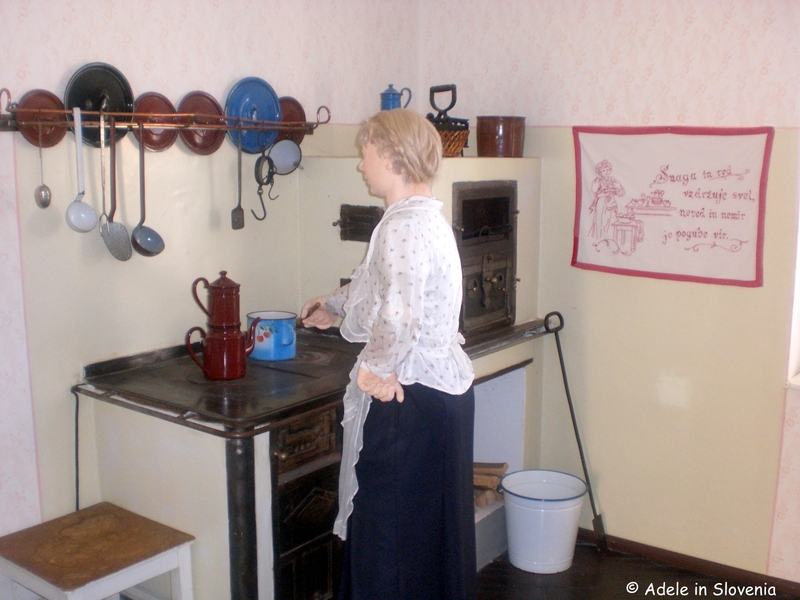 In an adjacent building there is museum, which gives a further insight into the lives of those working in, or connected to, the mines, and a collection of ores, minerals and fossils. 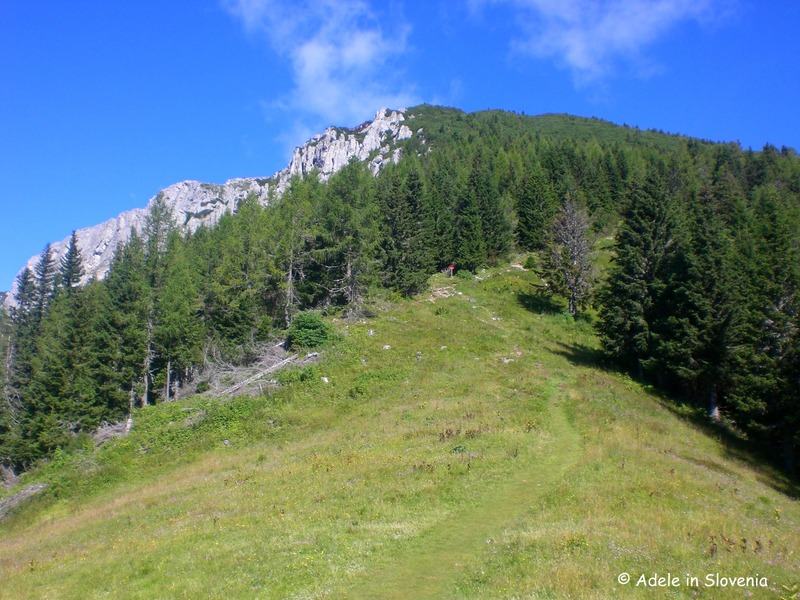 Having spent the afternoon going through Mount Peca, next morning it was time to go ON Mount Peca – this time on foot! Peca is part of the Karavanke chain, which has a total length of around 120km and forms a natural border between Slovenia and Austria. The Peca massif forms part of the Eastern Karavanke and can be approached from either Slovenia or Austria. I chose to begin my hike from the serene and stunning Topla Valley, which is surrounded on all sides by lush forest and contains just a handful of farmsteads – each with a traditional shingle roof. This protected valley really is like something out of a fairytale and is about as unspoilt as it gets. However, knowing it was still a way to go to reach the top of Peca, Kordeževa glava (2125m), and not wishing to do so with a full stomach, I resisted the temptation and continued onwards and upwards! At first across a meadow, then the terrain becomes more rocky, but still relatively easy, though for those who like more challenging climbing routes (that doesn’t include me, I hasten to add! ), there is also an alternative path to the top, which is classified as ‘demanding’. The higher you go, the better and more far-reaching are the views, and the more the effort pays off! Despite it being a searingly-hot mid-August weekend, I still had the place to myself! Well, not exactly, but in fact there were just about the right number of people for my liking. Enough that one could pass the time of day and exchange a few words with fellow hikers here and there, and find some friendly folk to take the odd snap for me, but not so many that it felt crowded – just perfect! 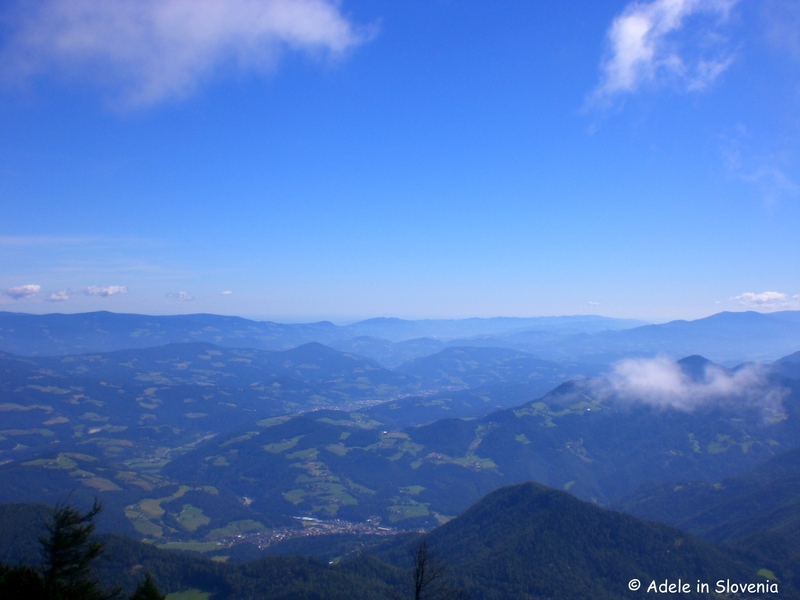 Koroška tends to get somewhat overlooked in terms of tourism, at least in terms of those visiting from outside of Slovenia, however, I recommend that for lovers of the outdoors, it definitely deserves to be included in your holiday plans.